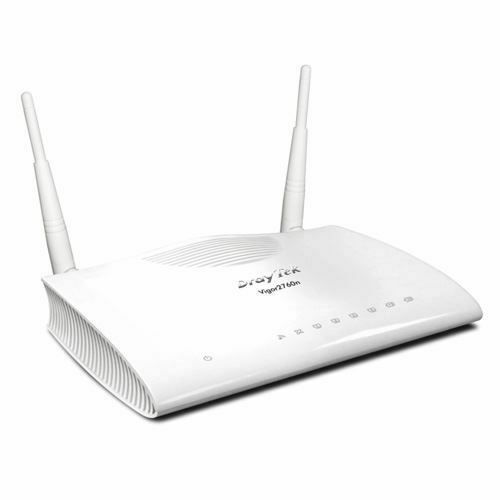 The Vigor2760 series VDSL2/ADSL2+ routers are designed for VDSL2 broadband network and can also support ADSL2/2+ fixed line. There are three models: Vigor2760n (anexx A\B), Vigor 2760n B (with IEEE 802.11n WLAN), and Vigor2760Vn (with VoIP and IEEE 802.11n WLAN). With future IPv6 support for future network and higher-speed WAN throughput, the high-definition multi-media streaming is available for home entertainment and digital learning. The embedded VPN connections can allow family members to utilize ultimate broadband performance to realize home office. The MAC access control, multiple-SSID, authentication management on WLAN creates much secure wireless network. The users of your connected PCs can use Web Portal Log-in and Bulletin Board to remind each other. The content security management (CSM) prevents your family or home office from unwanted web sites/access.